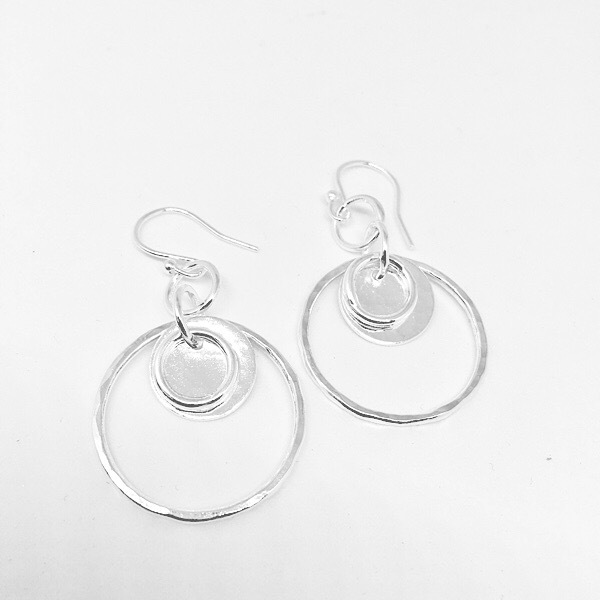 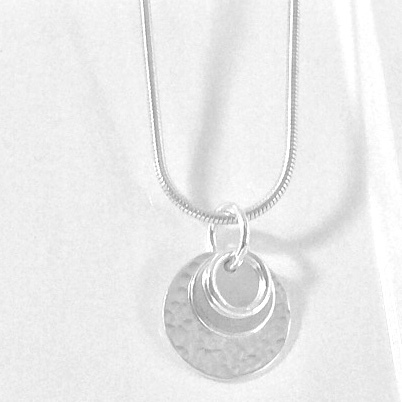 Solid silver double disc and ring pendant worn with a diamond cut snake or link chain of your choice. 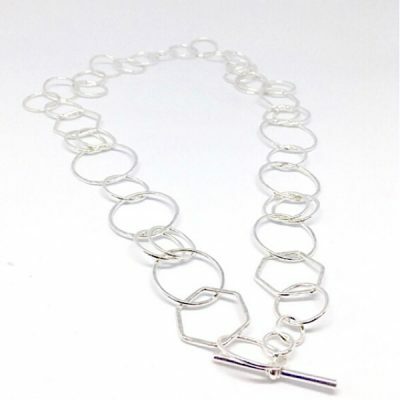 Hammered and smooth contrasting textures reflect the light and make this pendant necklace a fabulous piece of silver jewellery to wear. 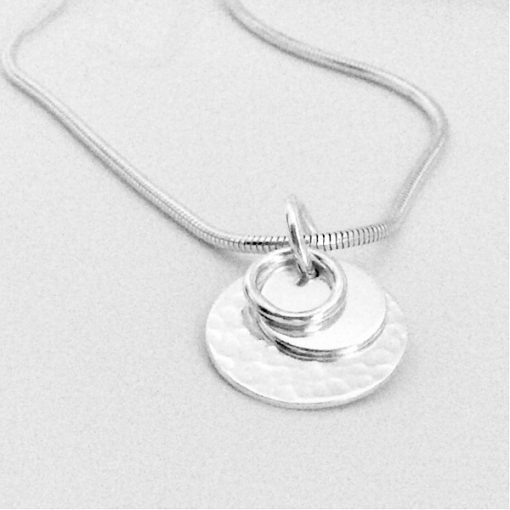 A personalised option is available – a hand stamped initial can be added to the smaller plain disc. 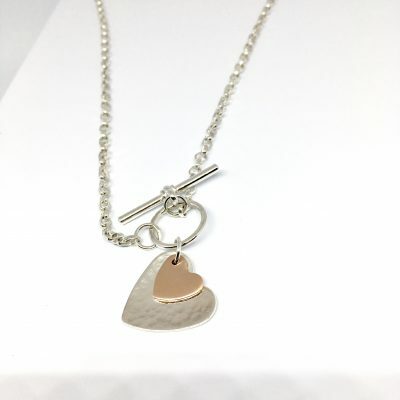 You will receive your necklace in a beautiful silver box with a ‘Handmade for you in St Ives Cornwall‘ tag with space for your handwritten message. 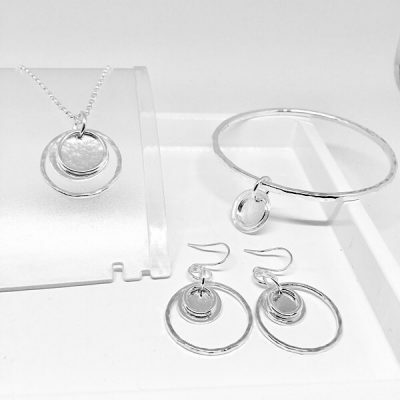 We are happy to post your jewellery direct to a recipient if you send us details via the Contact page – we will even write a message of your choice.